Google’s hustled on this one. Less than a week ago, reviews from “critics” started appearing in the local search results on mobile devices. Now they’re showing up in desktop search results, too. Right now, “Critic” reviews only show up for restaurants and the like. I wouldn’t be surprised if it remains that way, but I could imagine Google doing the same for hotels. 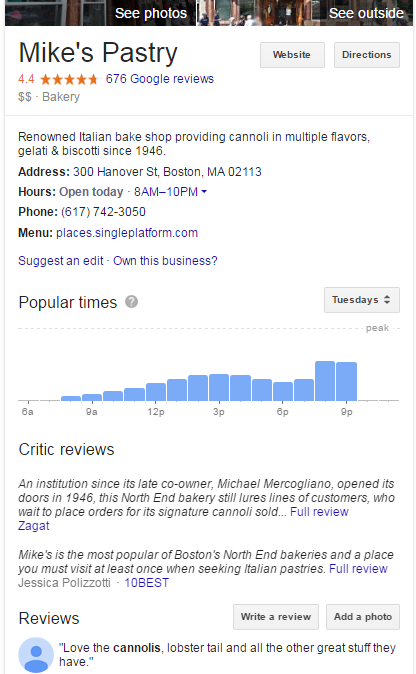 This latest tweak is a number of things: a bite out of Yelp’s pie, possibly a sign that Google knows it’s got quality-control issues with Google reviews, and definitely a test to see whether users click on and read and trust “critic” reviews more than those written by the unwashed masses. Of course, it’s all part of an effort to jack up AdWords use in one way or another – whether or not anyone outside of Mountain View knows yet exactly how. 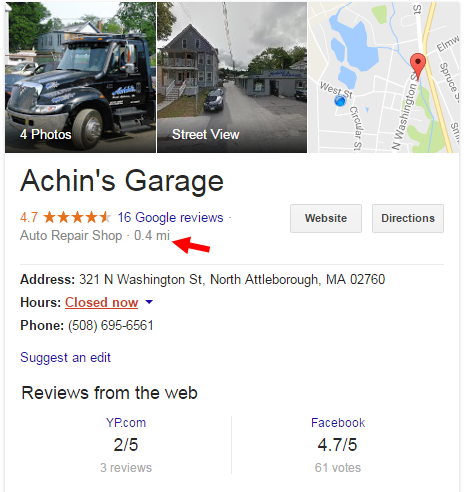 One thing that puzzles me about this update (or swiftly rolled-out test) is it’s not clear how Google might extend “critic” reviews to showing up in the local search results for industries where business owners really lay down the Benjamins for AdWords – legal, medical, home-improvement, realty, insurance, etc. 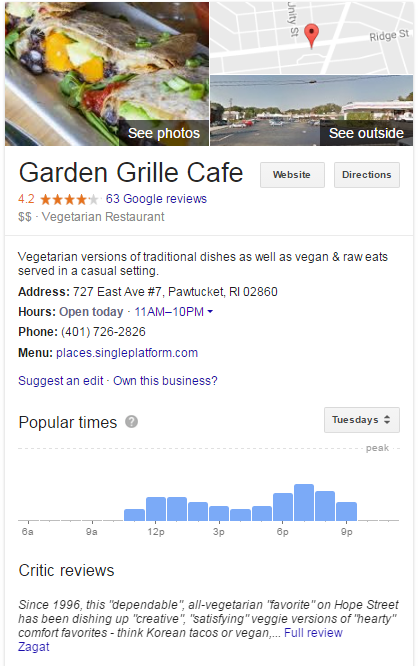 Most restaurateurs aren’t big on PPC. What do you make of “critic” reviews? Are you seeing them in any non-dining search results? 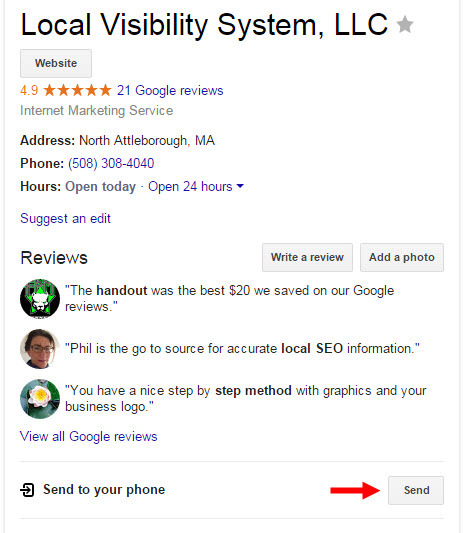 Click the “Send” button and you’ll send a push notification to your phone or tablet, which will open up a Google Maps app search result for that business. What’s interesting is if you look up a service-area business with a “hidden” address you’ll see a map pin on its exact location. So much for privacy. 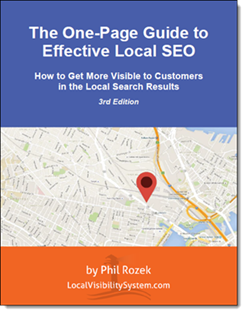 This strikes me as more useful for Google and its data-mining than for searchers or for local business owners, but maybe I’m missing something. What practical uses do you see for “Send to your phone” for business owners and their customers?